We have a new iPad and Apple TV. It was my early Father’s Day present to my husband. Since I am currently working from my home…what a blessing…I have setup a slideshow of my iPhone photographs to appear on the TV. Really sweet! Whenever I look up from my laptop I see a variety of pictures…grandchildren, children, friends, husband, places we have visited, flowers in our garden, etc. And I smile. 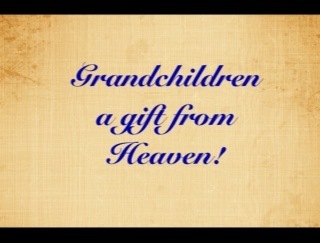 But I’ll have to say the biggest smiles appear when it is my grandchildren’s faces I see. Thank you, Lord, that I have lived this long!!! What makes you smile? Who makes you smile? A couple of my previous blogs have been on finding your passion…well for me…these grandkids are one!! There will be more to come in the next week on finding your passion…discovering your dreams and moving in that direction. But for today, I am savoring these little faces. And anxiously awaiting our next time together.